How much would you like to get behind the wheel of a real-life rally car? That’s exactly what US talk show host Jay Leno did this week on the latest episode of Jay Leno’s Garage. 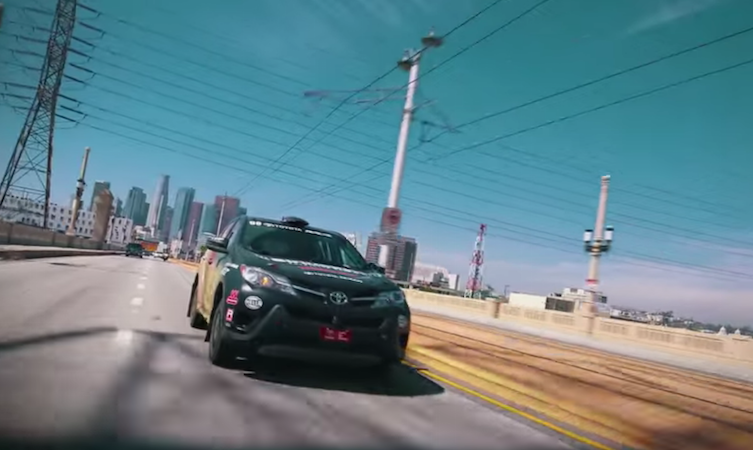 With the help of champion driver Ryan Millen – rally specialist and son of Toyota racing legend Rod Millen – Leno took a Toyota RAV4 rally car from the Arizona desert to the dried-out basin of the LA River and onto a surprising final sun-kissed location. Watch the whole film to see it in action. 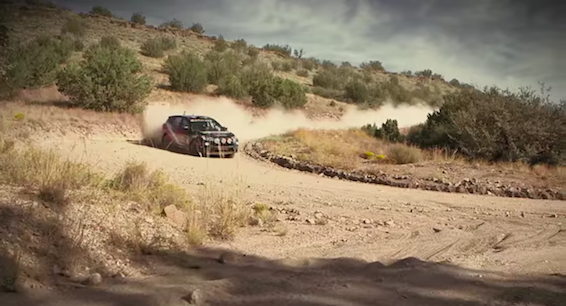 During the film, Leno explains the appeal of rallying: it’s one of the cheaper ways to get into motorsport, and can be more of a test of skill than budgets. The relatively minor modifications made to the RAV4 – suspension, tyres, brake pads and some weight-saving – certainly show the potential for trying the sport in a normal road-going car (in suitable locations and not public roads, of course). The 2015 Toyota RAV4 Rally Car is currently appearing at the SEMA customising show in Las Vegas – see the other cars from the show in this post. Find out more about a Toyota RAV4 you can buy yourself at toyota.co.uk.